The disturbing comedy Father's Day, by Peter Bland, was the first locally written play performed at Wellington's Downstage Theatre. 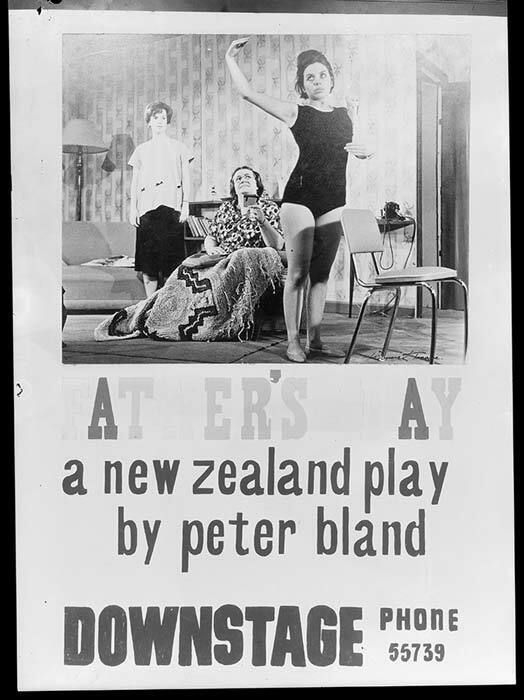 This poster for the original 1966 production shows (from left) Nicolette McKenzie, Pat Evison and Jennifer Dakers. Evison had been awarded a scholarship to London's Old Vic theatre in 1940. She later became known throughout New Zealand for her role as the storekeeper in the 1971 TV drama series Pukemanu. Evison was appointed a Dame Commander of the Order of the British Empire in 1993.